The collecting and restoring of antique autos is a lifelong passion equal to that of an artist. 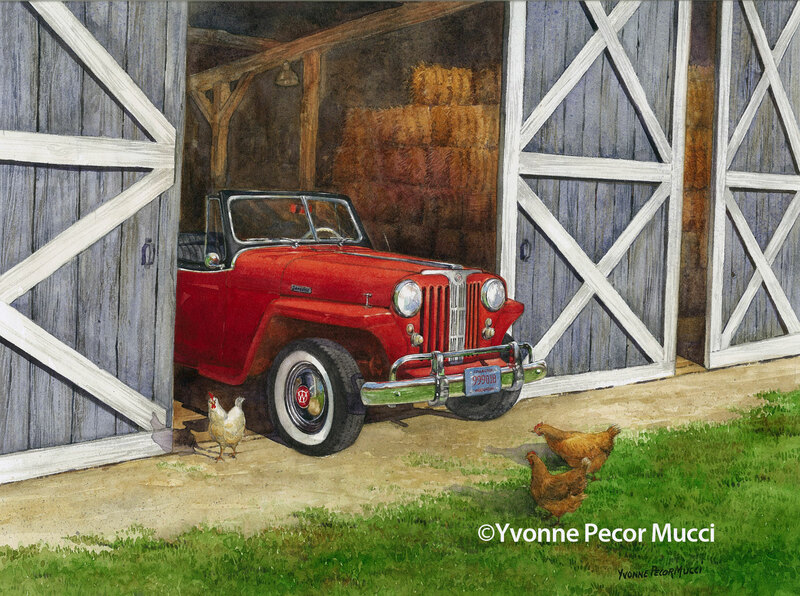 The idea of this watercolor painting came from the owner of this beautiful 1948 Willys Overland Jeepster. His dairy barn was the perfect setting. The chickens were a little whimsy thrown in! I thought showing the sliding barn doors added more interest. My brother and sister-inlaw helped slide those barn doors around while I took lots of reference photos. Fun painting from concept to finish! Thank you to John and Cecily.